Cecil Holloway, 84 year old Mooreland resident, died Thursday, January 31, 2019 in Woodward. Funeral services will be held at 10:00 a.m. Wednesday, February 6, 2019 in the First United Methodist Church of Mooreland with Pastor Todd Bergman officiating. Interment will follow in Mooreland Cemetery. 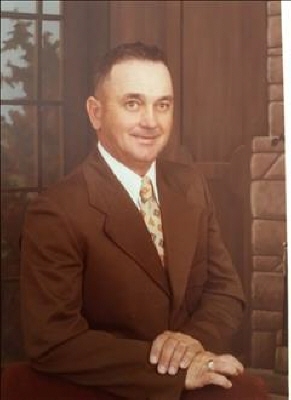 Cecil Ray Holloway son of the late L.L. â€œBudâ€ and Mary Etta (Miller) Holloway was born January 24, 1935 in Mooreland, Oklahoma. Cecil graduated from Mooreland High School with the class of 1953. On May 23, 1954 he was united in marriage to Helen Ingraham at the Christian Church in Mooreland. To this union three children were born Jimmy, Sherry, and Sandra. They lived in Mooreland for a few years before Cecil went to work for Cities Service Gas Company in Ulysses, Kansas. They moved back to Mooreland in 1974 and he retired from Cities Services in 1996 after 32 years. He was a member of the Christian Church and was a 32 degree Mason. He loved to play golf and pitch with his family. He especially enjoyed watching his grandsons play sports and participate in stock shows. Cecil is survived by his wife Helen Holloway of the home; son, Jimmy Holloway and wife Lisa of Mooreland; daughters, Sherry Dewald and husband Dirk of Mooreland, Sandra Taylor and husband Jim of Cushing; eight grandchildren, Travis Dewald and Monica of Enid, Tanner Dewald and Becca of Mooreland, Trey Dewald and Katy of Mooreland; Brant Holloway, Dakota Holloway, and Brayden Holloway; Jimmie and Adrianna Taylor; great-grandchildren: Layne Mayer, Peyton Mayer, Tatum Dewald, Conner, Piper and Sawyer Dewald and Taelyn, Axtyn and Logyn Dewald; one brother, Marion Holloway and wife Mae Beth of Mooreland; one sister Flora Mae Arthaud and husband Alan; other relatives and many friends. To send flowers or a remembrance gift to the family of Cecil Ray Holloway, please visit our Tribute Store. "Email Address" would like to share the life celebration of Cecil Ray Holloway. Click on the "link" to go to share a favorite memory or leave a condolence message for the family.